Kimme Winters necklaces incorporate unusual artifacts and mixes them with a variety of pendants such as: Buddha, cross, charm of Mary, medallions, heart charm..ect…and beads which make her necklaces are different. 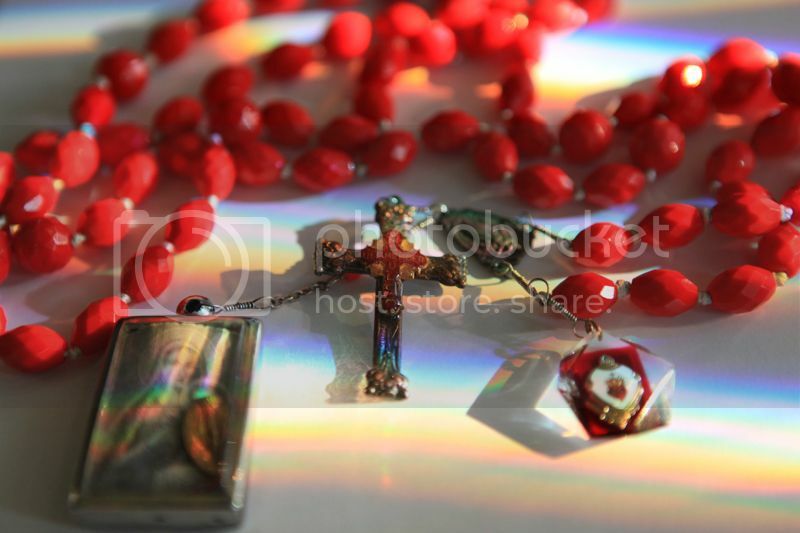 This red beaded with mixed pendants and Cross is my third one from her design. I love the bright red shade of these beads and I’ve got a fun idea to wear it across the shoulder. Yet, it is my new way to wear a long chain necklace. It’s different and fun. To see my other Kimme Winters necklaces, here. These colorful plastic bracelets is a gift from one of my friends. And I got this photo below from my friend’s twitter, Carlo @cfashionstyle, to share. I really like the way that he captured the object and the lighting of this photo, I think it’s very artistic. Wearing: Top from Free People, Rick Owens skirt, Johnny Farad clutch, and Nina Ricci sunglasses. 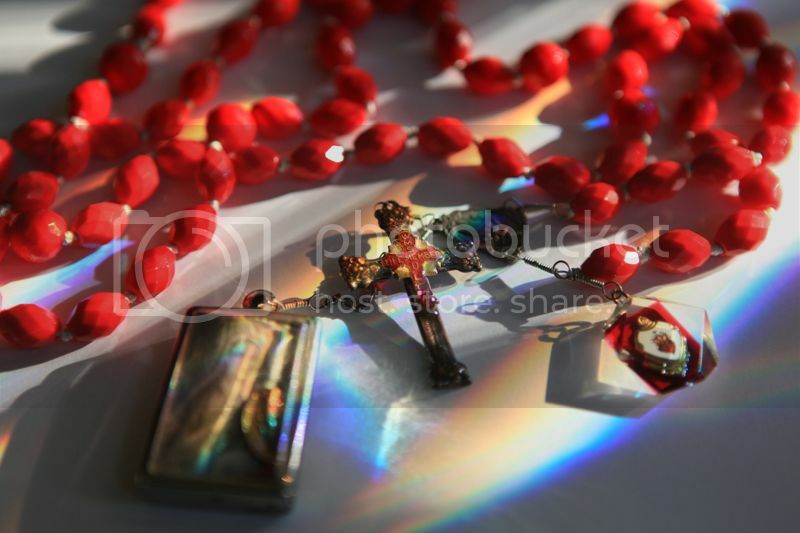 Amazing collection, specially the first one of red pendant with cross. Amazing outfit. I am in love with the skirt. Lovely red combination thanks again to share this nice pic.